Comment: From the series Last Light. Iï¿½ve always had a thing for bars. The more marginal the better. Iï¿½m mostly drawn to rural or urban outliers- raw, dilapidated joints that evoke an earlier, grittier era. Humble, solitary structures shrouded in loneliness and isolation, yet miraculously, as if blessed by some divine patron, still open. A refuge where a hard-edged world is numbed and softened by alcohol and dim lighting. Defiant vestiges of the past, the bar always seems the last to go. After the grocery store, the lumberyard and the barbershop long ago surrendered to the future and shut their doors for the final time, the bar stayed on. 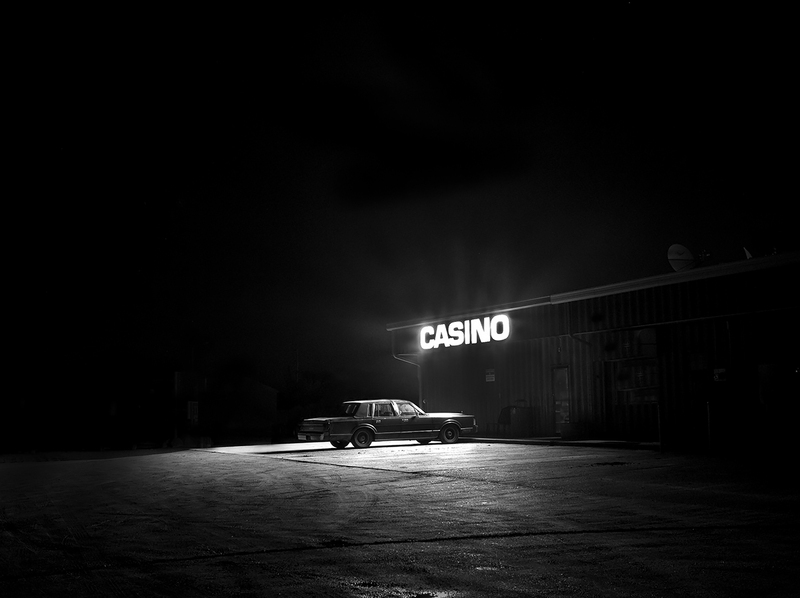 Slumped alone on the edge of a discarded town, its neon spills out onto the asphalt and burns through the night. Inside, the beer is cold, and the jukebox stocked with George Jones and dirges from an irretrievable past.